Hi. 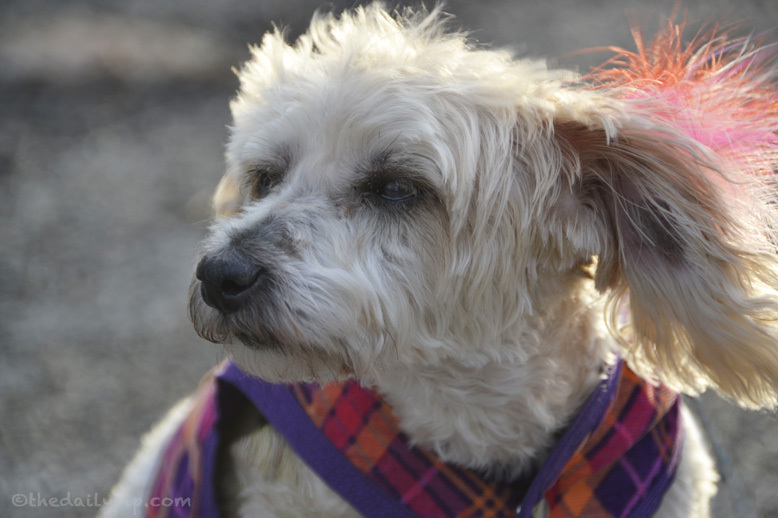 I came over from Wordless Wednesday BlogPaws blog. Your pup reminds me of my dog and has the scruffy look that I love. BJ had that look. He was part Bichon and part Carin Terrier. He died in January. 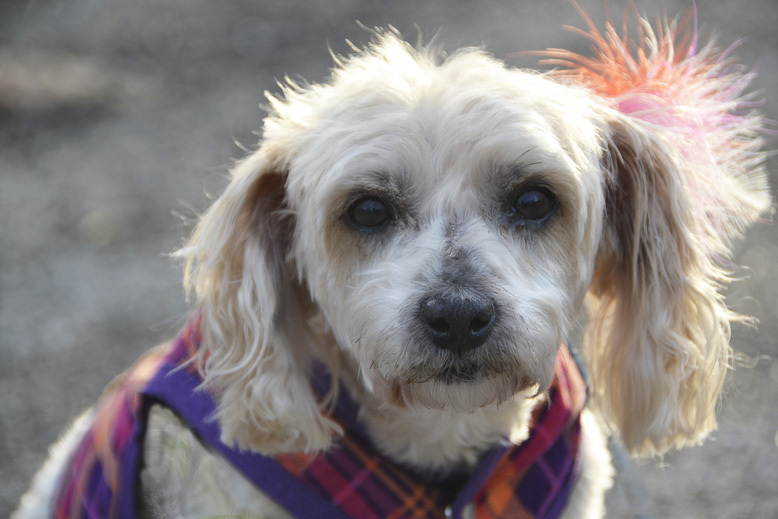 You're just so pretty, Ruby, whether a poodle or a yorkie. We all have different sides to our personalities, don't we? Those facial expressions are awesome, lol! Love your color burst. Very stylish. We think you are just so cute no matter what breed you are Ruby. You sure look mighty good. You all have a great day. That's not a bad thing. We like the total package! Ruby, we love you just the way you are. I think the breed doesn't matter, the HEART does! You are beautiful no matter what, Ruby! You look very stylish, Ruby! Are you dressed up for a night on the town? OMD at LEAST you didn't find that you are a PORKIE… BaaaaaaWaaaah. We think you are GORGEOUS… no matter WHAT. 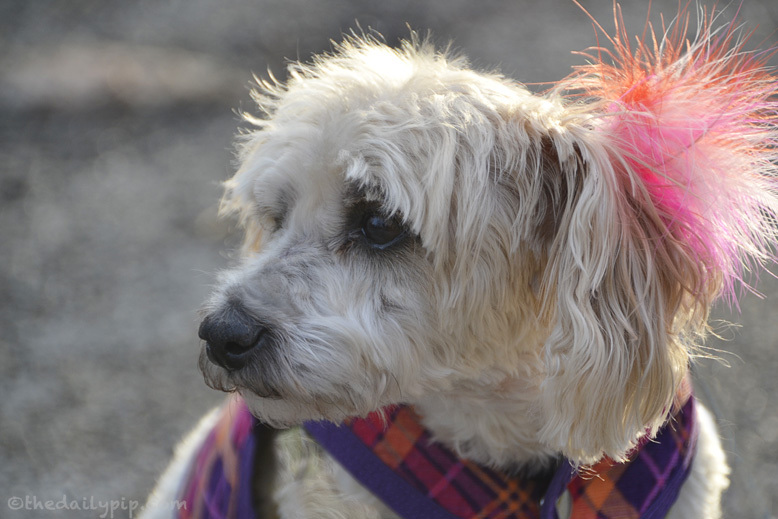 Love the looks of the colorful poofy feathers, plaid jacket and absolutely adorable face. Couldn't be any cuter! We think you are beautiful no matter what breed. You are more cute under there and over there too sweeetie! Whatefur ya is, it is cute! You are stylin', girl! You're a beauty no matter what your breed is! The feather is a great accessory — the photos are beautiful. I also loved the caption of the cat: The Struggle Is Real – so awesome! Awww, doesn't matter your adorable! The color is PERFECT!!! Cool new design you got over here!!! Love it! Well, we love you just as you are.